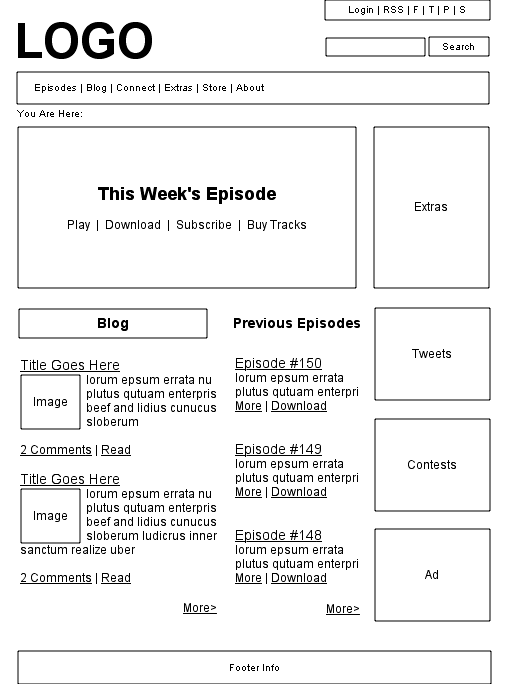 I did the stakeholder interviews, data analysis, feature priorities list, creative briefs, mental maps, information architecture, site maps and wire-frames for these projects. After launch I also conducted usability studies to further enhance the sites for traffic, donations, and purchases. 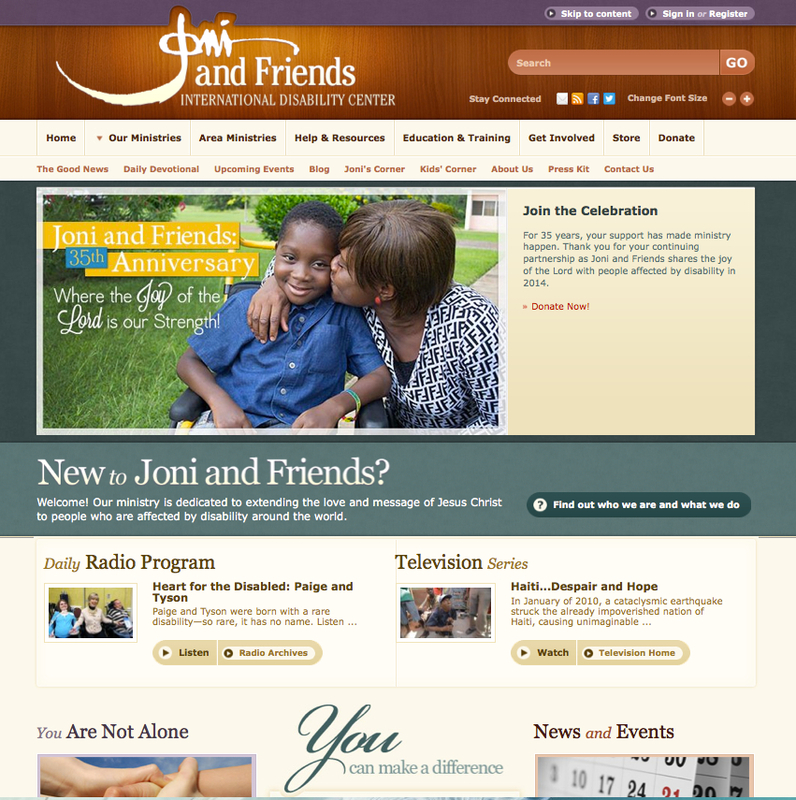 NOTE: The Joni & Friends site is Section 508 compliant for complete accessibility. 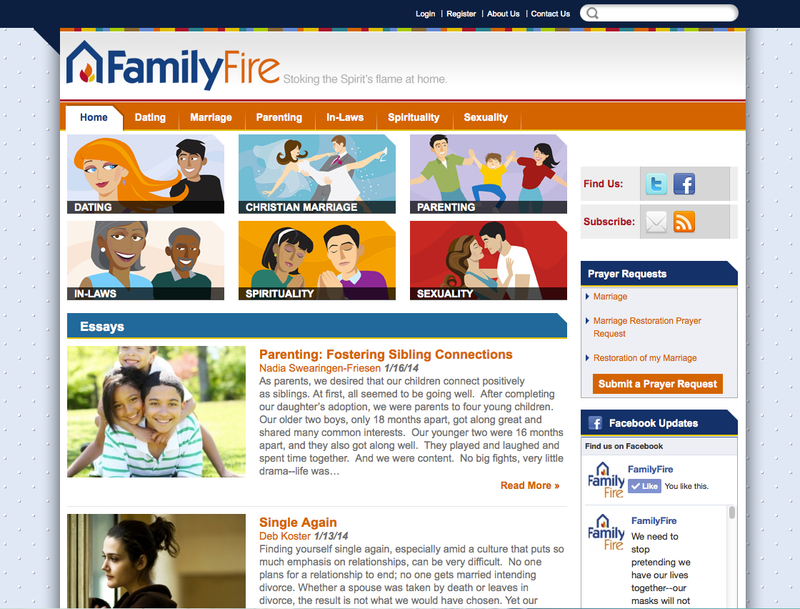 Note: For FamilyFire the targeted audiences were dating, engaged, and married couples. 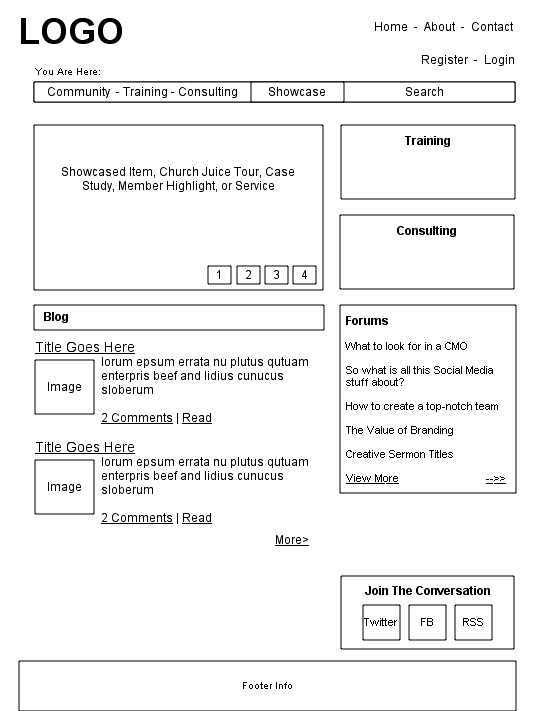 The section labels and sub-navigation were determined by SEO and content silos for subject matter expertise and best organic search results. 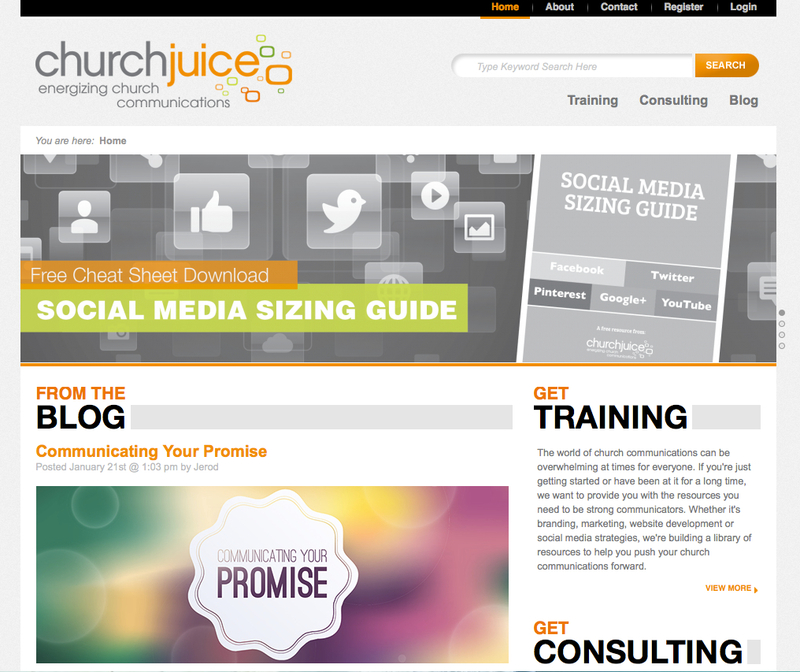 This site won a Silver Addy Award for design. 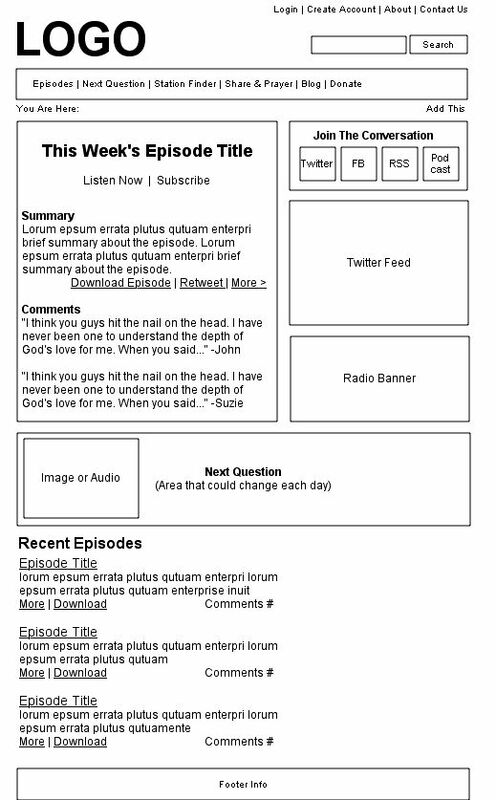 A weekly radio program that drove engagement to the website and used polling for future broadcast ideation. 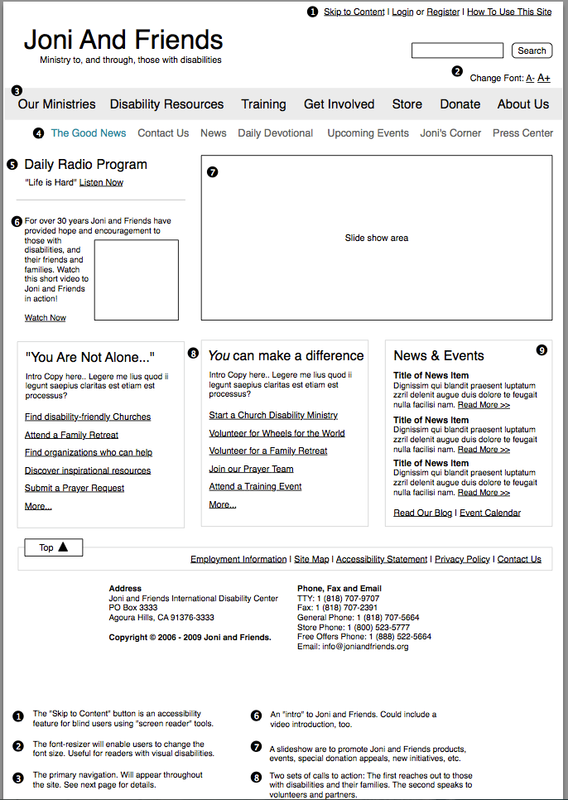 This site won a Webby Honoree for design and information architecture. 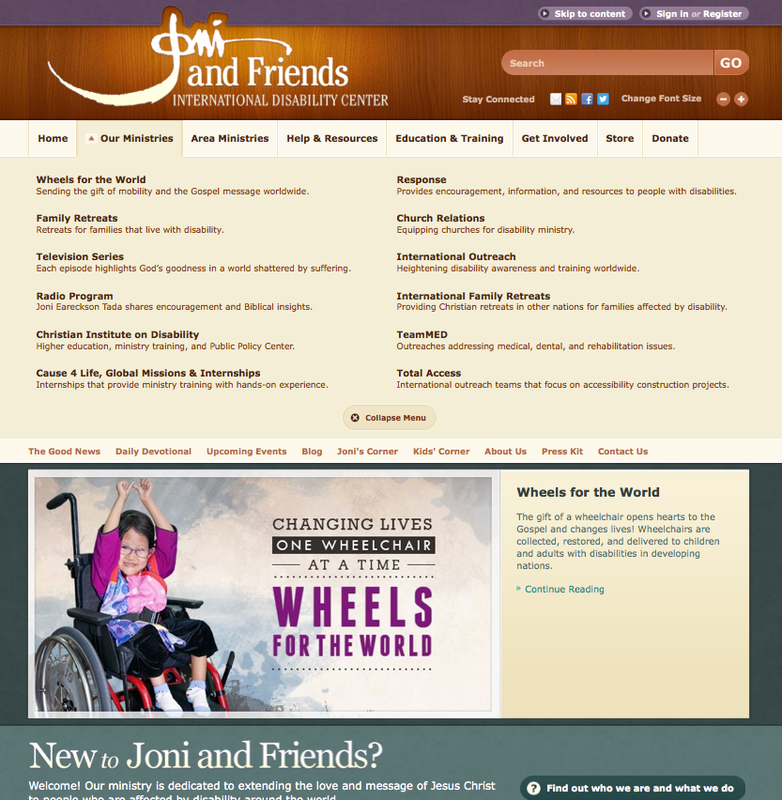 Joni and Friends (JAF) is a website for disability advocacy. 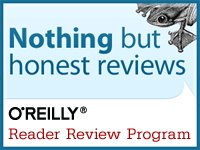 When I first met with their leadership they had a fractured brand. Many users knew of one, possibly two, programs but had little idea of the dozen programs offered by JAF. 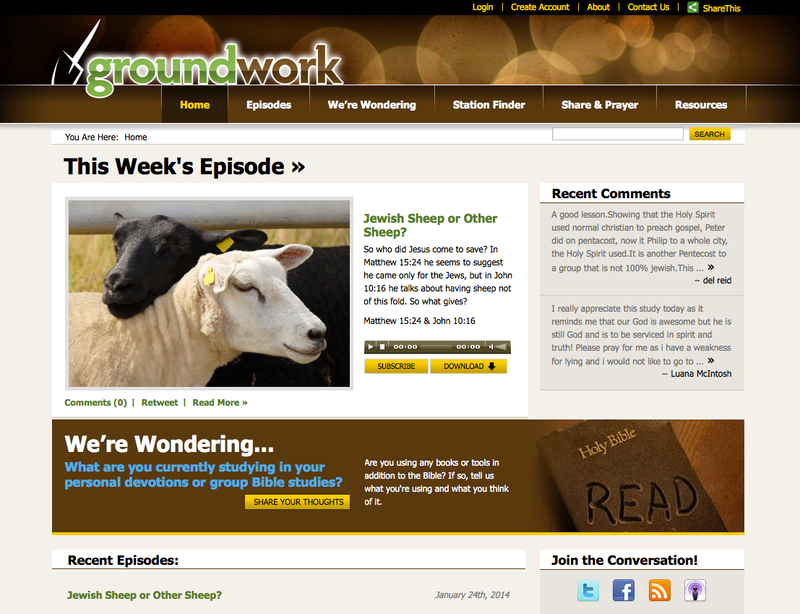 This was enhanced by the fact that each program had a separate website. After the stakeholder interviews, I determined to consolidate the programs under the JAF parent brand. It was also critical for the launch of new website that the architecture be usable for audiences with visual, auditory, and cognitive impairments. 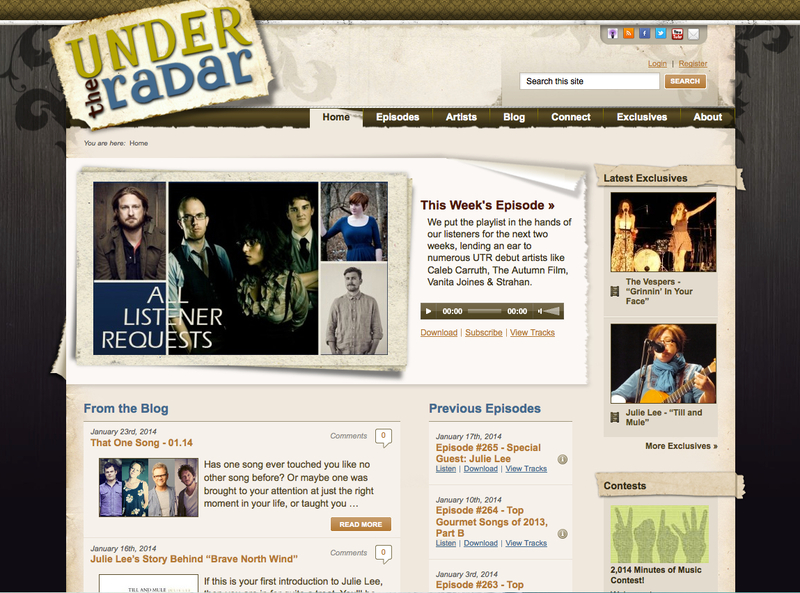 JAF wanted an experience that all their users would find pleasing and easy to access. After the launch the site saw 300% increases in traffic year-over-year. I also presented a social media strategy that they continue to implement to this day showing increased monthly growth.